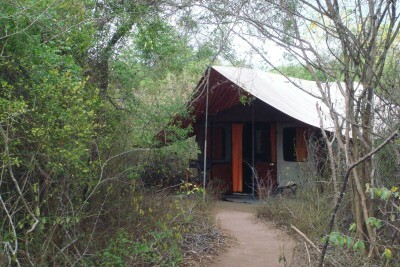 Situated in the northern dry zone, Wilpattu is Sri Lanka’s largest national park at 131,000 hectares, yet one of its least visited. Off limits during the war with the Tamil Tigers, since that ended in 2009 the park infrastructure has gradually been improved so that now the largely forested reserve is again very rewarding to visit. Wilpattu’s unique feature is its willus, shallow basins which fill with rainwater and attract wildlife such as wild boar, spotted deer, sambhur, sloth bear, elephant, leopard and water buffalo – just a few of its 31 mammal species. Notable among over 200 bird species found at Wilpattu are the endemic brown-capped babbler, Sri Lankan jungle fowl and woodshrike and black-capped bulbul. Of the reptiles, monitor lizard, mugger crocodile, cobra, python, rat snake and soft shelled turtle are most common. The park is certain to become more popular, so now is a good time to visit.